It’s your chance to show the University of California that you already know something about this field and were serious enough to learn about it. They love seeing students who already have some idea of what they want to pursue in college. If you are uncertain about your future major, you can certainly write about this prompt, too. The new University of California essay prompt 4, also known as Personal Insight Question 4, contains two different but related topics. One asks about an educational opportunity and the other about an educational barrier. Pick one to write about. Both topics want to know about an experience related to your education so far, which can be your school work, or anything related to academics. 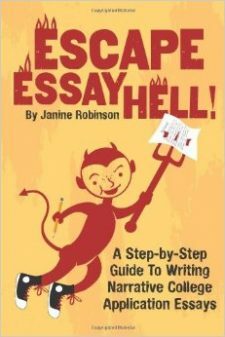 My personal opinion is that writing about the educational barrier would produce a more interesting essay since it will have a storyline. A “barrier” (obstacle) is a form of a problem, and when you write about a problem, things automatically get more interesting. Start by trying to recall an interesting experience related to academics where you learned something meaningful. If this experience, and what you learned from it, ties to what you plan to study in college, or the field that interests you at this point, all the better. It also could simply be an experience that had a meaningful impact on how you see the world. The most important factor is what you learned from it. The main pitfall to watch out for with this prompt is writing something super boring. The best way to nail this prompt is to think of it in two parts. First, describe the opportunity. Even better, try to think of something specific that happened that involved this experience to start your essay and give it interest. That’s too broad and generic. Sheer dullsville. Instead, start with one specific experiment or challenge that you participated in, and then go into the overall course and why you liked it. The second part of this essay needs to go on to explain what you learned from that experience, and briefly how you will use what you learned in the future. How did you find out about these programs or classes? How did you take what you learned and apply it to your schoolwork or other aspects of your life? Think of a time in school, or during any school-related activity, where you faced some type of problem. Again, it’s optimal if you can write about one of your main areas of interest, although it’s not necessary. Remember, problems come in many forms, such as a challenge, an obstacle, a mistake, a personal hang-up, flaw or phobia, a change, a set-back. Don’t get hung up on the word “barrier.” Just replace that with “problem,” and you will be on the right track. The reason they want you to share a time you faced an education-related problem is that you can then elaborate on how you dealt with it and what you learned. Educational barriers: Have you faced any barriers or challenges related to school and/or your schoolwork? How did you overcome or strive to overcome them? I must warn you that I believe there are a lot of potential cliche or overdone topics that students would write about for this topic, such as times they flunked a test or got a terrible grade. Like all topics, what counts the most is what you have to say about your experience. So focus on what you learned about yourself, others and the world—even if what happened wasn’t the most unique experience. Writing about UC essay prompt 4 is your best chance to showcase your main academic interest, such as computer science, history, business, fashion, art, engineering, etc. So spend time thinking about any and all past experiences you have had that related to your interest, including ones that inspired you or helped your understand it better or improve your skills at it. Write it up and chances are it will be a strong piece for your set of four essays (Personal Insight Questions) for the UC application. Check out these 21 Tips for UC Personal Insight Questions to help you think about how to write four essays that complement each other and together form a “personal statement” that helps set you apart from other students. Is a Carnegie course considered a educational opportunity? Is Carnegie course considered an educational opportunity? Hello, does an internship count as an educational opportunity? Would talking about having an opportunity at education at all be considered an educational opportunity? I am from a whole different country where women are oppressed and do not have the opportunity to an education, (gender and women’s studies is my major btw) but I am afraid this isn’t specific enough? For the educational barrier question can I write about how I’m not good at science and describe the courses I took and how I struggled to get by but also show that I didn’t give up and that I ended up taking an AP science course? Would medical camps count as an educational opportunity? I primarily shadowed doctors, but a lot of the doctors sat down and explained a lot about anatomy and other things. Hi, is mathematics module considered as an educational opportunity? Math module in my college is a series of practice exercises that allows students to re-take placement exam. Hi, I was just wondering if what I was thinking of writing about was a good idea. My freshman year I went to a National Student Leader Conference (NSLC) for Engineering at Berkeley and that’s what made me fall in love with the idea of doing that as my major. Is the fact that it was at a certain UC school too specific i.e. will it turn away other UC schools? Obviously my focus isn’t on the fact that it was at Berkeley, but I just want to make sure I’m not inadvertently making a mistake. Is Internship an educational opportunity? Thank you. Would being rescinded from a school before going to community college be considered an educational barrier? Would visiting another school not in the UC system be considered an educational opportunity? Hi! Would having an intimidating math teacher and struggling in that subject be an educational barrier? Is moving to US from a different country to attend high school considered an educational experience? Would attending a college-prep school be an educational opportunity? Would volunteering in community service be considered an educational opportunity? Yes, I believe it would be if you learned something. That’s how I define an “educational opportunity”–as an activity or experience where you had the chance to learn something, about yourself, others and/or the world. Hello! I attended a one week camp about learning leadership skills, do you think this would still be considered an “educational opportunity” if it doesn’t directly connect to my field of interest (a biological science)? Is summer session in duke university considered an educational experience?